Judge Orders Pentagon To Stop Discriminating Against Naturalized Citizen Soldiers A federal judge says the Pentagon has provided no justification for profiling immigrant recruits who became U.S. citizens. 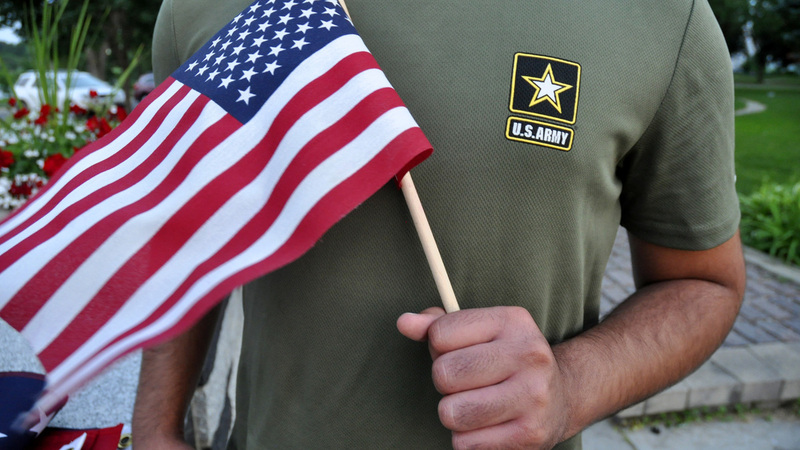 U.S. District Judge Thomas Zilly ruled Thursday that the Pentagon may not require soldiers who are naturalized citizens to undergo "continuous monitoring," or security checks every two years, when such scrutiny is not applied to U.S.-born soldiers. The plaintiffs sued the Pentagon, arguing that the requirements for continuous security checks, even after discharge if they worked as civilians for the government or government contractors, represented unconstitutional discrimination based on national origin. Attorneys for the Pentagon argued that the ongoing security checks were necessary for national security. The attorneys said the security checks were not related to the soldiers' national origin, but to the manner under which they had enlisted in the U.S. Army -- through the MAVNI program. Judge Zilly noted in his ruling that the "defendant's witnesses acknowledged that no MAVNI soldier who has become a naturalized citizen has ever been charged or convicted of espionage or any other criminal offense or been denaturalized." In July 2018, the Pentagon began discharging immigrants recruited under the MAVNI program, only to reverse that policy a month later.